Ireland Lacrosse on Tuesday night announced it will be sending an Éire team to compete for a world championship in the 13U Warrior World Series of Youth Lacrosse event taking place in Denver, Colorado next summer. “We’re thrilled to help bring youth lacrosse to Ireland and there’s no better way than to start with a world-class event against the best teams around,” said Team Éire Assistant Coach, Brian Fitzgibbons. The Team Éire national prospects will kick off their first season this weekend in Florida at the Orlando Open event. “I’m excited to see how the boys do, playing up in the 14U age bracket this weekend. It’ll be a true test and indicator of what we need to work on as we continue to select the best Irish and Irish heritage players for the World Series and beyond” said Head Coach, Michael Evans. 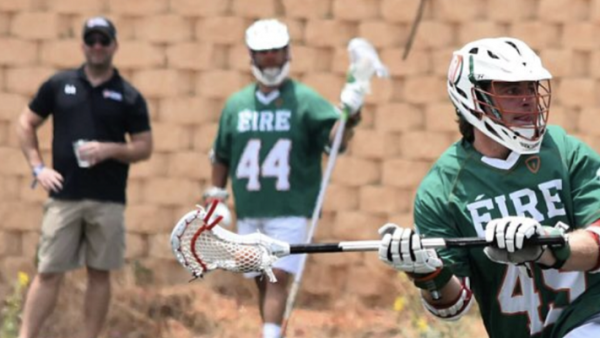 The Coaches met this summer in Netanya, Israel where Michael Evans joined the coaching staff of the Men’s Éire team at the Federation of International Lacrosse, World Lacrosse Festival where he coached his now Assistant Coach, Brian Fitzgibbons against teams from all over the world. If you have a son who is interested in playing with Ireland Lacrosse, or for tryout information and requirements, log on to Ireland Lacrosse for more information and become a member of Ireland Lacrosse. Ireland will host the FIL Men’s U19 World Championship, and World Festival, at the University of Limerick in July 2020 – for further information on this event visit 2020 U19 World Championships, University of Limerick.